A friend requested a large card for a wedding shower. This card is A7 size – 5 x 7 inches. 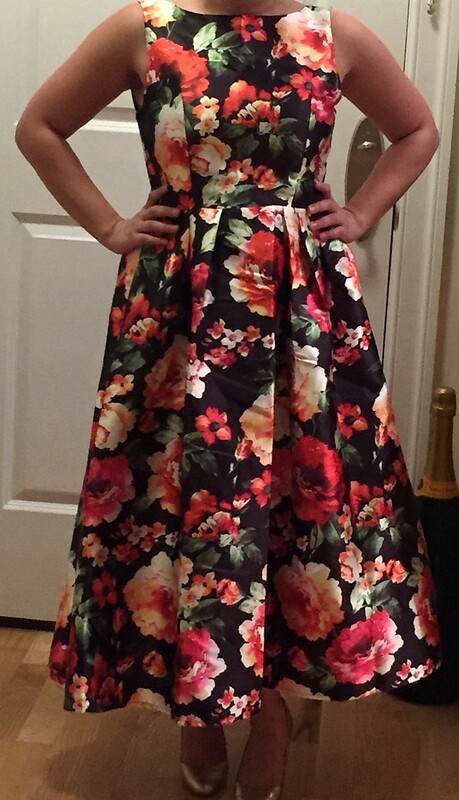 I asked for hints about theme or colors, and got a photo of the bridesmaid dress. 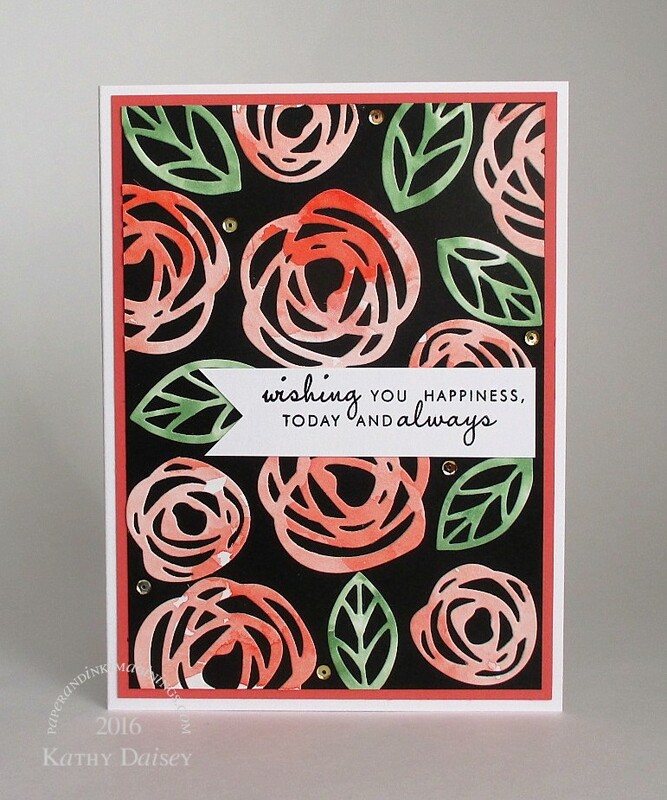 I loosely watercolored two pieces of paper – one in coral, one in green (and a little bit of sparkly white in both), and die cut flowers and leaves when dry. I have used a similar layout before, but really liked the contrast against the black paper today. Supplies: Stamp – Papertrey Ink, paper – Arches watercolor, Neenah Classic Crest Solar White, Stampin’ Up! Basic Black, Calypso Coral, ink – VersaFine Onyx Black, watercolors – Kuretake Gansai Tambi, dies – Essentials by Ellen, sequins – Pretty Pink Posh, embossing powder – Filigree Fine Art Powder clear. Categories: bridal/wedding, card | Tags: Arches, card, Essentials by Ellen, Kuretake, Papertrey Ink, Pretty Pink Posh, Stampin' Up!, Tsukineko, VersaFine | Permalink.